We have a wide range of work shirts in stock (much more than we show here), but it is mostly T shirts and polo shirts that sell online. 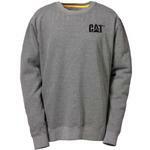 Branded tees – such as Caterpillar clothing – are most popular. Thermal T shirts and long sleeve T shirts - such as those that Blackrock and Sioen do – are widely used under work coveralls, because layering gives more flexibility and insulation. We also do a dedicated range of Flame Retardant work shirts and long sleeve Shirts, by Devold and Sioen. Polo Shirts are the most versatile. We supply polos in all colours & weights. Their collar looks smart and with a logo on the front left breast of sleeve they can look sharp and uniform. We also do Hi Vis Shirts | T-Shirts. 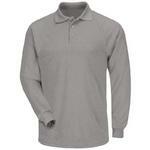 Technical workshirts: We offer antiflame antistatic and FR shirts. 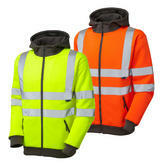 Looking for more safety work wear, check out our full North Sea Workwear range.